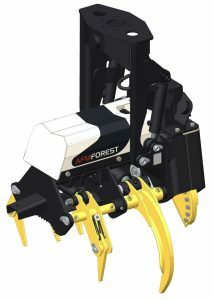 AFM harvester heads are specialized heavy duty attachments for forest operations. The AFM harvester head fells the tree with a chains saw, delimbs it and cross-cuts it to exact log lengths. 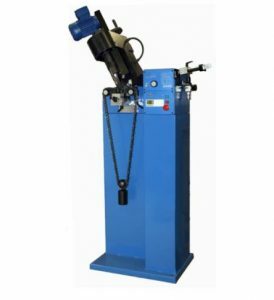 It is usually equipped with a measuring system which allows controlling the cross-cutting process by dividing and optimizing the stem effectively using intelligent prognosis. 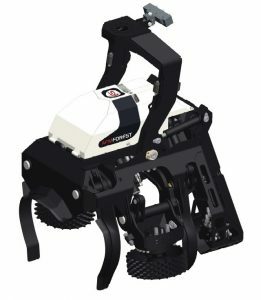 AFM harvesting and processing heads present numerous advantages to loggers, such as reliability, versatility easy of service and many others. AFM energy wood heads are specialized attachments for cutting timber which is used in bioenergy production. AFM energy wood heads can perform the following operations: fell trees, accumulate multiple stems, arrange the energy wood in piles or load it in forwarder or combi machine. AFM felling heads are versatile and cost-effective attachments for felling, piling and loading operations. AFM felling heads can be used in tree-length and full-tree operations, oil piping works, as well forestry roads building. 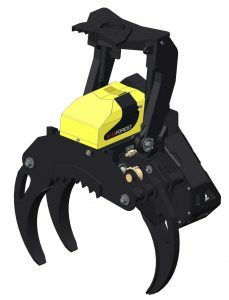 They can be mounted on excavators and purpose built forest machines, such as harvesters and feller bunchers. In addition to harvester heads, we offer other high-quality products for forest operations like: loading grapples, boom extenders, and a large selection of harvester accessories.